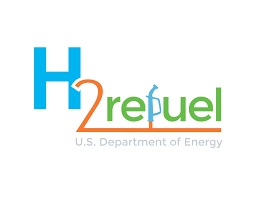 The U.S. Department of Energy’s (DOE) Fuel Cell Technologies Office (FCTO) and the Hydrogen Education Foundation (HEF) announced the launch of the $1 Million H2 Refuel H-Prize. The two-year competition challenges America’s engineers and entrepreneurs to develop affordable systems for small-scale hydrogen fueling. This will allow to expand the hydrogen infrastructure to support more transportation energy options for U.S. consumers, including fuel cell electric vehicles (FCEVs). Successful entries will install and test systems that generate hydrogen using electricity or natural gas for refueling hydrogen vehicles. In the last several years, automotive fuel cell costs have been reduced by more than 50 percent, fuel cell durability has doubled, and the amount of expensive platinum needed in fuel cells has fallen by 80 percent since 2005. The competition is planned to last two years. The H2 Refuel H-Prize is administered for the Department of Energy by the Hydrogen Education Foundation. Registration to compete in the H-Prize and more information are available at http://hydrogenprize.org. Sainsbury’s has announced the UK’s first supermarket forecourt hydrogen dispenser will be located at its Hendon store by the end of the year. Working with global leaders in hydrogen infrastructure, Air Products, the new dispenser will join a network of existing stations helping bring a breath of fresh air to residents and visitors in London and the South East. The SmartFuel® station will be able to fuel a growing number of hydrogen-powered fleets driving around the Capital. From hydrogen-powered buses running between Covent Garden and Tower Gateway, to hybrid delivery vans operated by Commerical Group and hydrogen powered taxis already driving on London’s roads; it is clear hydrogen isn’t a fuel of the future, it’s a fuel for today. Hydrogen powered vehicles’ only by product is water, with little sacrifice to transport performance: they can refuel in less than three minutes and offer drivers the same range and speed as conventional vehicles. “Making hydrogen technology available at a supermarket for the first time is another big step in encouraging the use of cleaner, greener fuels to reduce air pollution and protect the nation’s health,” commented Diana Raine, Air Products’ Hydrogen Energy Business Manager. Owned and operated by Air Products, the 700-bar SmartFuel® station is being delivered as part of an exciting project aimed at creating the UK’s first hydrogen transport system.